The most famous four-column documents in Brussels could remain secret no more. In a ruling on Thursday (22 March), the European Court of Justice stated that the results of the infamous ‘trilogue’ meetings that decide EU laws are a “decisive’ stage of EU law-making and should be made public on demand. Trilogues constitute a “decisive stage in the legislative process, which entails exemplary adherence to the public’s right to access that work”, the Luxembourg-based Court stated. “The European Parliament must in principle grant access, on specific request, to documents relating to ongoing trilogues,” it added. Little understood outside the Brussels-bubble, the trilogues are the secret heart of EU lawmaking. In essence, they are talks held behind closed doors between the European Parliament, the Commission and the EU Council. Designed to speed up the process of EU law-making, trilogue meetings are convened after the institutions agree their position on a law. The Parliament’s negotiating team on a law is typically composed of the rapporteur, shadow rapporteurs from other political groups and committee chair. European Commission officials and the responsible minister or senior civil servants from the country holding the EU Council presidency are the other attendees. The four column documents, meanwhile, are composed of the Commission’s legislative proposal; the positions of the European Parliament and Council of Ministers; and the provisional compromise text. The case against the Parliament was brought by Emilio de Capitani, a former civil servant in the European Parliament and executive director of the Fundamental Rights European Experts Group, seeking access to documents on EU data protection laws. With around 80% of EU laws now agreed at first reading, supporters of the trilogues say they are the most efficient way to broker compromises between MEPs and ministers. Research by the Parliament has estimated that the average law agreed at first reading takes 14.4 months from start to finish. But the process has been criticized for its lack of transparency, both inside and outside the EU institutions. The meetings are held behind closed doors and minutes are never published although, in practice, leaked copies can often be obtained from friendly EU officials. “Legislation cannot be negotiated behind the back of citizens, including the trilogue negotiations,” Heidi Hautala, a Vice-President of the EU assembly, said in a tweet. “EP must not appeal but start to fulfil it now,” she added. 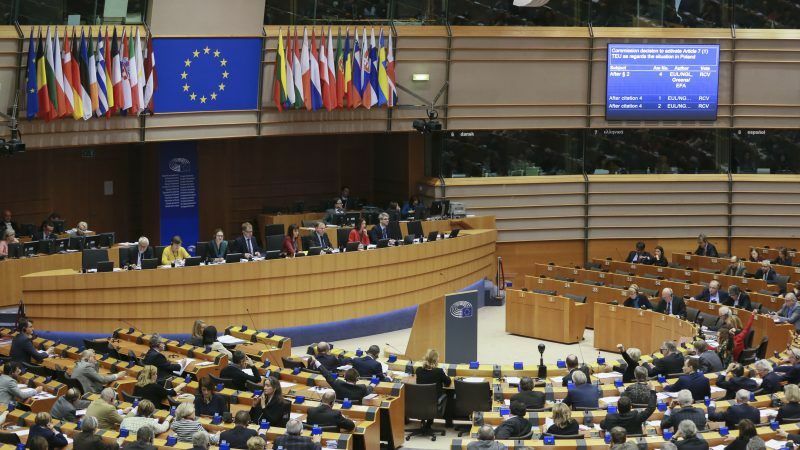 The opacity of the process has, ironically, prompted some MEPs to complain that they often do not know the technical details of what they were voting for, because of substantial changes made to laws before and after trilogues. The Court added that making EU lawmaking more transparent would improve the standing of EU institutions in public opinion. “It is in fact rather a lack of information and debate which is capable of giving rise to doubts in the minds of citizens, not only as regards the lawfulness of an isolated act, but also as regards the legitimacy of the decision-making process as a whole,” the Court stated.